Program Mash Ups: What are they and why do they matter? A program mash up, the outcome of carefully merging diverse space types into one, could be considered your smartest move yet. With super savvy technologies and immersive environments driving rapid cultural transformations, consumers are constantly seeking bigger and better experiences to write home about. To this end, mash ups are an opportunity not to be missed—by anyone. No matter the occasion, mash ups are the new go-to-solution for designers and clients seeking to inspire new thinking, new interactions, and new relationships. And while mash ups are unpredictable to their own advantage, there are some constant threads driving the conversation. This is what we found . . .
1. INTEGRATED MAKER SPACE. Tools and resources to support hands-on exploration enable deep learning and valuable outcomes. 2. UNLIMITED BRAND INTERACTION. Engaging and rich atmospheres elevate a product from static object to dynamic experience. 3. CUSTOM CURATED. Bringing people together for special moments around new ideas sparks collaboration and creativity. 4. COMMUNITY SPARKED SPACES. Space that reaches out to the community extends its network of relationships, knowledge and resources. 5. POWERED BY FOOD. 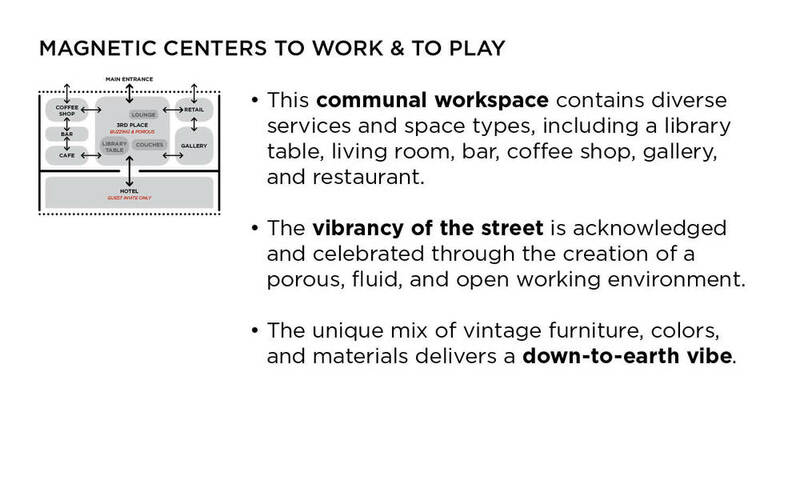 Adding food to social and work spaces creates a magnetic hub with diverse styles of interaction. 6. SHOWCASE GATEWAY. A clear and engaging service point is a valuable marketing tool and critical to enriching daily experience. 7. TOUR BEHIND THE SCENES. A custom journey from front door to back offers a special “in-the-know” experience of space. 8. BLURRED PHYSICAL AND DIGITAL REALMS. 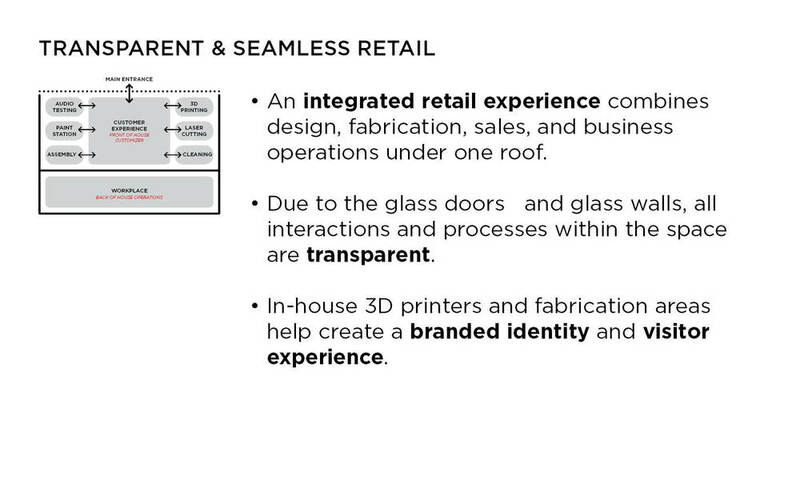 Digital platforms for physical space create an extended and hyperconnected experience of brand. As design strategists, we are infinitely curious about the world beyond our own work. To demonstrate these underlying themes, we did some digging in all corners of the globe to uncover the latest and greatest of mashing diverse program pieces into one seamless, spatial, experiential machine. *Note to the Reader: The above projects are not designed or built by HLW. In effort to fulfill our role as leaders of thought, we are showcasing projects that demonstrate a unique approach to programming only—this is not a design critique.